Everyone is late from time to time (even you and me), often for a reason that can not be helped. But that’s not who we are going to discuss today. We are going to talk about people who are chronically late — people who do not leave enough time to get someplace on time. Often they often arrive late for lunch, an appointment or an important event like a job interview or a wedding. If someone is consistently late, it can be a problem for friends and family who feel like victims. It can even damage the relationship. We all know how it feels to be sitting and waiting for a friend who is always late. “Sorry”, she mumbles when she arrives, “but I had to write an important email before I left and, oh, the traffic was really bad.” Maybe she thinks these excuses are acceptable but they get old quickly. It is tempting to give my friend an earlier time so she’ll actually arrive on time. A far more serious problem is the effect being late has on relationships at work. Unfortunately, chronic latecomers have a poor reputation. Colleagues resent it when their peers show up for meetings after they have started. They do not feel as if they can trust their colleague. Far worse, it can eventually limit career advancement. It’s that serious. According to Diana DeLonzor, author of Never Be Late Again, most people don’t like being late but this behavior was often acquired a long time ago. Even when they try to be on time, it is extremely difficult to break lifelong habits. What are some of the reasons that people are chronically late? Their time is more important than yours, so they think, and they are indifferent to whether it bothers you. They may consider themselves more important and consider their contribution at work more substantial than yours. They squeeze in as much as possible in as little time as possible. Or, they are distracted by last-minute to-dos such as answering the phone instead of letting it go to voicemail. Everything is a distraction. They forget that these things can wait until later. They enjoy being late and making others wait. This person may be insecure – arriving well after the appointed hour may make them feel important. Some latecomers like creating a grand entrance especially if it’s a large group that is sympathetic to their plight and does not know their history of chronic lateness. Of course they apologize but they also get center stage. They do not have a good perception of time and tend to underestimate it. Often people who are chronically late fail to build in enough slack time for unforeseen situations. Certain traits also tend to make people chronically late such as anxiety, low self-control and a tendency toward thrill-seeking. It’s an adrenaline rush to beat the clock. They thrive on the mini-crisis they create when they are running late and deliberately put themselves under the gun to get themselves moving. Interestingly, some people are not comfortable with the idea of being early. They do not know what to do with the “extra time” and are frustrated at not making “every minute count.” The thought of downtime with nothing to do is uncomfortable. The last thing they want to do is wait. What is their idea of being on-time? In a perfect world, some latecomers aim to arrive exactly at the start time. People who tend not to be late view it quite differently. On-time for them is arriving 15 minutes early which eliminates the stress and gives them a chance to grab a cup of coffee, relax and even scout things. Make being prompt a priority. Recognize the negative, stressed out feelings you have when you are late. Build in travel time on the calendar. People who are chronically late tend to underestimate how long it will take to get to a place and be situated. Imagine how it will feel to be on time, even early, without the familiar feelings of being stressed. People will respect that you are on time. Get ready early. Gather up the documents you need ahead of time. That way, if an interruption occurs, you can handle it and still be ready to leave on time. Some of our clients begin preparing for the meeting when they are supposed to leave. Take reading material or something with you so you do not feel as if you are wasting time while you are waiting. Plan it ahead of time so you know that your time will be used efficiently. It will feel so good that you will want to do it again. If you are late most of the time, plan to be on time two times out of five. As you get better, add another time so that you are eventually on time five times out of five. Keep track of your progress with a journal (or Evernote). Plan the night before what you will need for appointments the next day and when you need to leave. Make sure to check for early morning meetings. It is no fun when the meeting stops and everyone looks at you when you walk into a meeting late. Watch the clock. Late people do not tend to be aware of the time. Set the timer, even two. One for when to start getting ready and the other for when to walk out the door. Think about the actions you will need to take to be ready to leave on time. Estimate the time you need to get somewhere and double it. Stop doing other things well before you leave. Remind yourself they can be done later. Fine yourself if you are late or give yourself a negative consequence says Dr. Phil. http://www.drphil.com/articles/article/215. Estimate how long something will take and then compare it with the actual time it took. What Exactly are Goals and Why Do We Need Them? Many of us do not have clear, thought-out goals. That always comes as a surprise to us. When we ask people at our speaking seminars if they have written goals, maybe half of the group raises their hand. If we ask if they have unwritten goals, a few timid hands go up. These people are usually shy about volunteering this information because they themselves are wondering if their goals are less valuable because they are not written. Why don’t we all have goals, written or not written? Most people think of goals as large and aspirational and beyond their reach. Here’s an example of a lofty goal — the type that people often think of when they say they have goals: “I will grow my company to become an industry leader in three years.” This goal is long-term, hard to reach, and substantive. Many people find this type of goal beyond their frame of reference. It may be. These types of goals are often created by teams of executives who spend days, even weeks, formulating them. We are often put off by this type of elaborate goal setting process and may decide that goals aren’t for me. Instead of eliminating all goals, we are suggesting another way to view them. We are all capable of establishing and reaching goals. Admittedly, goals on the top end such as becoming an industry leader, overlap with aspirations – they’re far-reaching business goals. But, at the bottom end of the goal spectrum, they often overlap with to-do’s (they may feel like to-do’s but are not). When you walk into the office wanting to achieve three goals for the day, there are often several steps – to-do’s — needed to accomplish each goal. Even if they do not feel “important” enough, big enough or worthwhile enough, many of the things we do during the day fall under the goals category. Smaller, short-term goals can be just as worthy and important as larger, more esteemed goals and can get you where you want to go. Did you accomplish three goals before leaving the office today? Then you were productive. That’s a reason to celebrate. When we discuss goals, we include aspirational goals with the ordinary goals we choose every day to get our work done. Goals are intensely personal and there are no rules or restrictions. People have their own goals and their own ways of reaching them whether they are short-term or long-term. Both types have merit and count. Why do we need goals? They give us purpose and focus and help us plan. We function better knowing that we have met important goals we personally set. Small or large … it does not matter. Goals help prioritize tasks. We are often asked by overwhelmed clients which tasks should be done first. It can be very confusing looking at a long list and wondering in what order they should be handled. This is when having goals is really helpful. Referring back to your goals will help you determine what tasks on your to-do list should be done first. 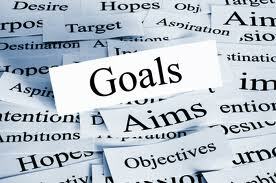 Goals give us an end point which can be used for measuring progress. It allows us to break up a larger process into smaller, doable chunks that we know we are capable of handling. If our goal is to move from being a general accountant to an accountant specializing in forensics, there are a number of steps necessary to accomplish the goal, such as speaking to forensic accountants about their experiences (one step) and taking classes (another step). Once those two steps are complete, then we can move to the next action (as David Allen in Getting Things Done refers to it). Achieving a goal is a satisfying experience. It takes effort, organization and focus to accomplish it. Relish the feeling that you did it. It will boost your self-confidence and prepare you for the next one. No matter what the challenge, even if it is harder, you know you are capable and up for it. Is it really possible to achieve a balance between work and life? Are we capable of fitting it all in? The term Work-Life Balance became popular in the 1980’s when corporations did not offer much in the way of flexible options. Picture a seesaw with work loading down one side and everything else, a.k.a. life, on the other side. In her book Work + Life Yost points out that the key is to find the fit that’s right for you which will allow you to be in control. You get to spend time with the people who are most meaningful in your life and to decide how much time and energy you put into activities. Set crystal clear goals. Identify the goals that are important to you such as, work, professional, family, friends, keeping fit, your faith, and even fun. Too often, we are on autopilot and do not think about the ways we spend our time. If you want to make partner in a law firm, be prepared to devote the time and energy it will require. Clarifying your goals will serve as a roadmap going forward. Ask yourself for every activity you are involved in: Does this activity add value? Does it meet my goals? Evaluate each and every project. Are you spending too much time and energy on an area that will be of little consequence to you in the long run? Eliminating a task can free you up to work on priority projects. For example: Do you still need to be attending association meetings from an earlier career? You might be able to meet your friends somewhere else and not be bound to a particular meeting time. Eliminate as many errands as possible and combine the rest. Take a critical look at your errands which can take a chunk out of the day. Consider outsourcing whenever possible and batch the rest together. Do errands together that are in the same part of town. Exercise. Study after study shows that working out benefits the mind and the body. You’ll need to carve out the time because it won’t happen, especially if your schedule is jam-packed, without being proactive. Make the time because it certainly won’t come to you. Start slowly and keep a journal. If you decide that you want to make a change in your work-life fit, do it gradually and mindfully. There is no need to rush into this. Even small changes can have a big impact. Keep track of these changes with a journal. 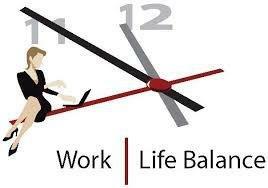 Find a balance between work and enjoyment. All work and no play makes Jack a dull boy. There’s some truth to that. Plan on doing fun things such as spending time with family and friends, learning a hobby, or taking a class to advance your professional career. All of these activities will expand your mind and, believe it or not, make you better at your job. Set boundaries. Are you going to answer that text or email on a Saturday afternoon? Let your clients and colleagues know what is acceptable. They will appreciate your candidness. Say no, especially if it interferes with your goals. If a supervisor asks you to handle a specific project, ask him/her what project(s) you should work on first. If you report to several supervisors, let them make the decision.That way you can stay out of it. Re-evaluate your goals periodically. As life changes, so do our goals. Set a certain time quarterly to sit down and review your goals. Mark it in your calendar. Something may have changed that could affect your current list of goals. For example, a promotion, or a new baby, might cause you to rethink the future. Select an accountability partner. Bounce ideas off of someone you trust who can help you stay on track and meet your goals. Ask someone who is committed to your well-being such as a co-worker, a friend or a coach. Reduce the amount of television you watch and the time on the Internet. Both are black holes. Not many of your activities will get done if you are searching the web or watching hours of television. Our meetings never start on time because people are always late. The rest of us sit and wait, checking email and thinking about what could be getting done if we were back at our desks. Or we start the meeting without the latecomers. Eventually they show up and want us to catch them up on the discussion. Help! It is frustrating when fellow employees – colleagues, supervisors or subordinates — are late for meetings. Does it disrupt the meeting when someone walks in after the appointed time? You bet. For those of us who wait for the latecomers to arrive, or who start without them, we may wonder what’s going on in people’s heads when they are consistently tardy. No question about it – it is inconsiderate. We feel as if they are stealing our time and our colleagues’ time, too. An on-time arrival may not be a priority. They may think that being 15 minutes late is really on-time. Their time is more important than ours. They would rather waste your time, not theirs. 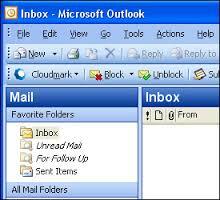 They choose to take a last-minute phone call or email which can easily delay them. The adrenaline rush is on. Maybe they prefer this to a boring meeting. They may not be aware of what others are thinking. Or maybe they are and do not care. Being chronically late for meetings is more common than you think (although is still not acceptable). I’m not talking about coming in late once in a while because that can (and does) happen to everyone. With an average of 11 million meetings a day in America*(yikes! ), someone will be late. Often it is the CEO. CEOs were tardy 60% of the time according to a survey of chief executives by management consulting firm Proudfoot. What kind of message does that send to company employees? Being punctual for a meeting, from the CEO on down, sets the right tone. Meetings starting on time (or not) can be attributed to the leadership of the company. Sometimes it starts with one person, probably the one with the most seniority at the table, being consistently late for a meeting. Before you know it, it becomes the norm and now everyone is 5-10 minutes later. 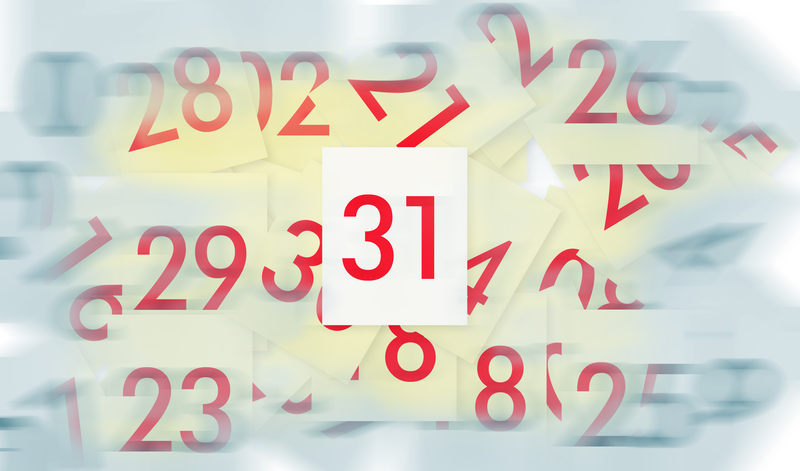 Since most professionals attend a total of 62 meetings monthly**, wasted time adds up quickly. CEOs may be late for their own company meetings but, interestingly, are punctual when they meet customers or clients. In the Proudfoot survey which covered nine countries, only French executives were late to more meetings than U.S. executives (late 65% of the time vs. 60%). Japanese CEOs had the highest on-time rate (late 34% of the time). Waiting 10-15 minutes for a meeting to begin can be very costly to a company. When you multiply salaries by the time wasted, it can be a very expensive proposition. And how about the cost to morale? Employees who make it their business to be on time end up spending precious minutes waiting for others so the meeting can finally begin. At a large company based in Atlanta, meetings are the culture of the company. The day is driven by meetings – starting early in the morning and steadily continuing throughout the day. All day long people move from one meeting to the next. If a meeting starts late, everyone’s schedule is thrown out of whack for the rest of the day. In other companies, you may not be heading for another meeting, but a late start will affect how well you are able to manage your day. Include in the meeting invitation the start and end times of the meeting and, of course, the location. Create an agenda listing the topics, the persons responsible, and the time people will be presenting. Call or email invited attendees reminding them of their role and the time they will be presenting. Put late offenders first on agenda. Start the meeting on time no matter what; no need to penalize those who made the effort to be on time. Everyone is on a tight schedule and cannot afford extra waiting time. Continue the meeting even as latecomers arrive. Acknowledge them and keep going. Do not review what has been discussed in their absence. Lock the door two minutes after the start time. This is what employees at a high-tech company in California’s Silicon Valley do. They open the door but the boss needs to knock first. Caution: try this only if your boss has a sense-of-humor. Laugh uproariously at a pretend joke when someone walks in late. The latecomer will be sorry that he/she missed out on something funny. Note: After the latecomer is locked out of the meeting room and the group is laughing hysterically at a non-real joke the latecomer does not know, constantly late people may start to become embarrassed. It may begin to occur to them that walking in after the meeting has started is not acceptable behavior. Or, wait five minutes for the most senior person to show up. If he/she does not, reschedule the meeting. Choose a time that’s convenient for the group that is present. Follow the agenda and end the meeting on time. This sends a clear message that you respect everyone’s time. Speak to him at another time and ask if it is acceptable to start the meeting without him so that the entire department does not lose valuable work time. Calculate the cost savings and mention that as well. Ask if there is a better time to hold these meetings. Would earlier in the day ensure that he could arrive on time? Speak privately to the offender and find out the reason the person is late. Last resort: Include it in the person’s performance appraisal. *A network MCI Conferencing White Paper. Meetings in America: A study of trends, costs and attitudes toward business travel, teleconferencing, and their impact on productivity.